Economic Commentary: FDI and democracy in Ethiopia: Can FDI push for a well- administered government? Addis Abeba, July 06/2018 – ‘The cure for an ailing democracy is more democracy’ claimed Fareed Zakaria. In, Ethiopia not only our democracy is ailing but also many doubt the existence of the ‘fledgling democracy’ often jabbered about by the government until very recently. On the other hand, the country is trying to attract FDI with all attendant hosts of obligations included in the international investment treaties; among others, the obligation to stabilize the country. Among these core obligations of the state assumed under Treaties are: the obligation to extend full protection and security (FPS) to foreign investors (and their investment) and extend fair and equitable treatment (FET). The scope of these obligations, along with many other obligations, are far reaching and not to be taken lightly. Besides, understating their scope is not an easy venture. These obligations are understood internationally as creating strict liability without the need to proof fault on the part of the host state assuming such obligations. It is in the order of international investment law that the host states must forge a stability that emanate from well-administered government. Instabilities of all sorts (political, legal and economic) and ensuing riots have caused massive damage to FDI around the world owing to the requirement to be diligent. Often, host state governments are taking upon themselves liabilities and paying compensation, but the question is why? How is such a state liable? What is the nature of such obligations? In Ethiopia, a very astonishing news was printed on biweekly Amharic reporter newspaper  this year stating that Ethiopia paid over half a billion birr to compensate companies whose investment has been partly or wholly damaged in riots that took place in the last three years. It was also confirmed that over 300 companies have been affected in the riots and only 200 of them are compensated yet. Furthermore, the bulk of the investment damaged are in areas of agriculture and coffee washing; suggesting that FDI in the stated nature are in conflict with people’s perception or reality. Furthermore, there are recent crisis with regard to FDI in Ethiopia. MEDROC business agglomerate has been also in the list of this crisis, one of its company, MEDROC legedenbi goldmine ceased operation after serious health crisis to the community nearby and subsequent protests against the company, which led concerned government organs to suspended operation license of the company. Again, in Bishoftu city, a Chinese company owned donkey butchery has raised popular anger and uprising, forcing the city administration to close the company. Again, among the very recent crisis is also the killing of the manager of Dangote Cement Factory, the largest cement factory in the country. These two later incidents might be a good cause of action for ‘indirect expropriation’ which might entail lots of liability on the prat of the state. On the peoples’ top agenda is also the flower factories allegedly polluting ground water and using polluting substances to grow flowers. Some campaign on social media indicate that the next target ought to be these and tannery factories which are seriously polluting rivers (and emit very bad stenches) that are being used in down streams by both people and livestock. Now the question is Ethiopia is engaged in many bilateral investment treaties that generously give protections of one sort or the other to these companies; sometimes that goes even against the domestic law standards. Thus, what are the caveats of its liability? It seems that the government has acknowledged its liability and behind the closed door it is negotiating with some investors, probably paying colossal amount of compensation. This fact is negating the very idea of attracting FDI; to profit from it, not to be liable to it. These protections that Ethiopia is extending to investors have a far reaching consequences that it is quite essential to digest their importance. Once we understood the reaches of these protection it is also quite important that the state lives up to its obligation and that it must also assume the obligations it can reasonably fulfill. What are the Nature of Investment Protections? The world is veering its eyes on the importance and significance of International Investment, and that it is ever increasing both in size and importance. Many nations failed to reach on agreements regarding international convention dealing with substantive rights matters of investment regulation, instead they just agreed on procedural matters via International Convention on Settlement of Investment Disputes (ICSID)  and left the substantive parts to be dealt by nation states, mainly on bilateral basis or regional blocks. 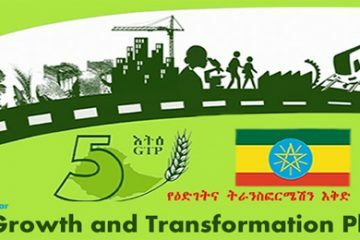 Ethiopia has already signed over 33 bilateral investment treaties (BITs). Hence, the question is what does the reading of all these treaties tell us? It is not a good news at all. Often, these treaties are poorly negotiated and impose all sorts of obligations. Ethiopia lacks model BITs that prudent nations take as general framework with which to negotiate. Plus, impulse (not knowledge) driven agreements could cost the country hugely. The political force is quite deciding than the expert line in negotiating these treaties, which impose all sorts of legal obligations. The effect is being seen following the recent protests throughout the country. Furthermore, there are hosts of obligations the consequences of which could be far reaching if dispute escalate to world forums and is being escalating in few matters. One of the protection investors negotiate on is the right to take disputes to international arbitration forums, which often take matters very seriously and if the state is found to be liable compensation is on world standard scale i.e. market value of the investment damaged or tampered with. Thus, if one digests the nature of such obligations (host state’s obligations) in BITs Ethiopia has with investors, the scope and nature of such obligations could be quite intimidating. The most common obligation is the commitment of Ethiopia to extend full protection and security (FPS) to investors and their investment. In addition to this, a related and more elusive obligation is the obligation to treat investors and their investment in a fair and equitable manner (FET obligation). The question is now how are protection and security and fair and equitable treatment understood at global scenarios? What does it mean to extend full protection and security to an investment? What amounts to investment to begin with? Is that about having effective police and securities or is that more than physical protection? These and related questions could be raised towards understanding the nature of such obligations. In one case, in AAPL vs SriLanka, owing to a war between state security forces and Tamil insurgents, the investment (shrimp farm) was destroyed. Besides, 20 Employees were killed. However, no proof was found as to who caused the damage. Yet, the arbitration tribunal award stated SriLanka violated its promises of full protection and security for not taking all necessary measures to stop the killing and destruction of the investment. Tribunal Held: ‘The reasonable measures of prevention which a well-administered government could be expected to exercise under similar circumstances’ Srilanka’s government was made liable for damage caused to investment. The government’s fault was not established; but the arbitration tribunal ruled ‘this would not have happened in well administered government’. Thus, it is was the obligation of the state to avoid insurgency implying that a well administered government cannot have insurgency nor could have created one. Again, in related case, Biwater v. Tanzania (2008): “…when the terms “protection” and “security” are qualified by “full,” the content of the standard may extend to matters other than physical security. It implies a State’s guarantee of stability in a secure environment, both physical, commercial and legal.” Thus, forging stable economic and legal environment was set to be the obligation of the state. Along with this, fair treatment is usually attached with ‘denial of justice and avoidance of arbitrariness and absence of discrimination’. In a country like Ethiopia, heavy handedness of the government could entail liability of one sort or the other. For example, arbitrary power cut and internet interruption could be a good ground for international case against Ethiopia. Thus, understanding at global level could easily be read to Ethiopia’s obligation under BITs. There is no flinching that Ethiopia is not to escape from the strict reaches of this obligation unless it quickly cleans its home and that it renegotiate some of these strict deals. It is the core obligation for the state under International Investment Agreement (IIA) to stabilize the commercial and legal environment towards making the nation conducive for investment and substance of investment ventures. If a nation decides to attract FDI and retain it thereby benefit from it it is quite essential that it has to forge stability. There are two ways to achieve this. I call them China’s model and Western model. The China model is to hold on to political restrictiveness and open up the economic front and reform the laws strictly to guide the smooth function of the economy. The economy is not only liberalized and made convenient for FDI but that properties and contracts are strictly secured via a well-functioning legal system. The western model, on the other hand, more on political stability and free market forged under the ethos of liberal democracy. Now, where is Ethiopia in these two models? It is more on the Chinese model yet fails on many counts. Ethiopia’s legal system is chaotic, laws change like seasons and that the parliament is least equipped to make a well deliberated law that last across events. Again, the economy front and the growth rhetoric is more of government data being massaged driven by political ends. However, since Prime Minister Abiy Ahmed came to power, the government has started to turn things around. The Prime Minister is taking drastic measures and trying to improve the investment climate. But at the same time, the nature of the state’s obligation must be analyzed and reforms must follow that track to avoid liabilities. Bad deals need to be renegotiated; to do that the law need to be re-evaluated both on the domestic and international levels. First in order of things is to open up the political space as it is being done and forge sustainable political dialogue forum towards enabling a functioning democracy which brings overall stability. Stable and predictable legal and economic system is the key for attracting FDI. Yet to forge stable economic and legal system, a political stability is a sine qua non in Ethiopia’s case. Second, if stability is to work and pay dividend, genuine legal reform is a must and to quickly collect competent civil servants (not interest groups) to guide the justice and investment sectors. Along with this, the Ethiopian investment commission, which seems to have a competent leadership as of ate needs additional far sighted and capable civil servants garnered from all professions. The trade law reform, which started last week, must also focus on scraping undesirable reservation clause, avoiding minimum capital requirements, lowering corporate taxes, and most of all regulating (or privatizing) government monopolies and political party affiliate business agglomerates to avoid unfair competition and market distortion issues. Third is paying attention to inclusive governance. The issue of land policy is quite critical. Land need to be amendable to the force of the market, at least in prime (high value) land areas, and that community land tenure need to be secured. Investment must be made with and in consultation with a given community, especially regarding land ownership matters. Published on 28 march 2018, Amharic biweekly reporter newspaper. Protests after protest was raging for the last three years until April, 2018 nomination of a new Prime Minster, Dr. Abiy Ahmed; who is fast reforming the nation and the politics. According to mining.com, Locals accuse the mine of polluting their source water and the air, causing humans and animals respiratory illnesses, miscarriages, birth defects and disabilities. MIDROC Gold Mine Pvt Ltd. Co. (MGOLD), a member of the MIDROC Ethiopia Technology Group, is engaged in Mining and Exploration activities in Ethiopia. 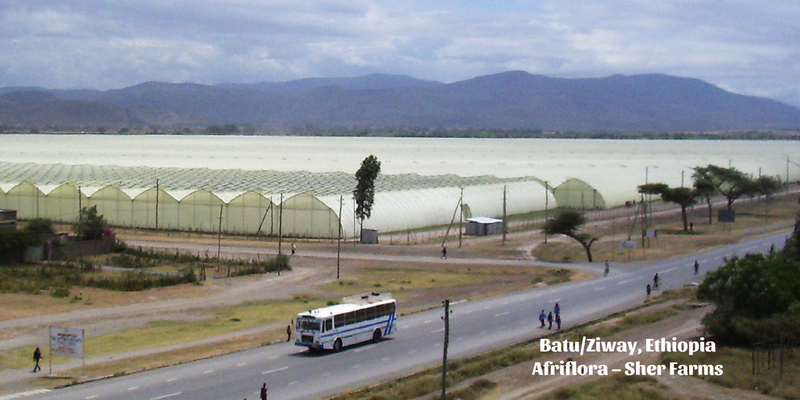 MIDROC Gold Mine PLC owns and operates the Legadembi Gold Mine, which is located 500km south of Addis Ababa, Ethiopia. MIDROC Gold is actively involved in exploration projects, which are located near the mine (Adola-Legadembi Exploration License – ALEL), and in another area some 600km northwest of Addis Abeba (Metekel Exploration License – MEL). The Legadembi Gold Mine is an open pit operation with annual production of 1.6 million tonnes of ore. Yearly average production is about 4500kg of gold-silver doré (fine gold production is in the order of 3,500kg). The ICSID (International Convention on Settlement of Investment Disputes) Convention is a treaty ratified by 153 Contracting States. It entered into force on October 14, 1966, 30 days after ratification by the first 20 States. Article 6 of the ICSID Convention requires the Administrative Council of ICSID to adopt rules of procedure for arbitration and conciliation and for the administrative and financial regulation of the Center.